The marine sector covers Commercial Boat manufacturers, Fibreglass Hull production, Yacht and Ship Yard surface protection and even Submarine spray painting for defence applications. 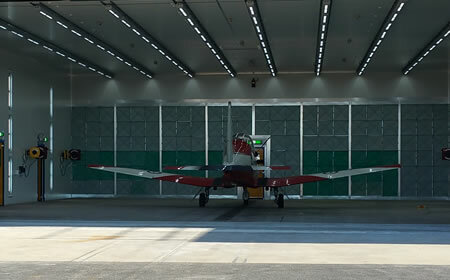 TRUFLOW has produced spray booths, paint halls and extraction facilities for all of these applications; many of these spray facilities have been installed in the past 10 years with a shift in industry wide expectations for increase quality requirements for surface protection in marine applications. 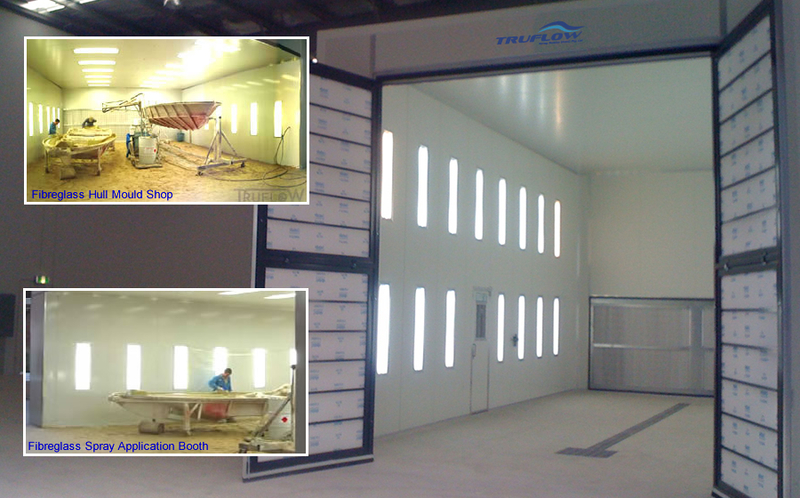 Joseph Bellavance, Sales Engineer, TRUFLOW Spray Booths. For this reason our experienced engineers are on hand and ready to listen to your requirements, compliance / safety needs and budget to design a system tailored to your needs. There is a form at the bottom of this page which you can email to our team so we can get the process started. We also have some case studies on installations we have completed, these provide good examples of custom designed facilities that meet a specific need. Located in South Australia the Australian Shipbuilding / Submarine Corporation project was part of a defence initiative to manufacture submarines within Australia. Part of the process was to ensure surface protection in both Blast and Spray met the requirements set by international manufacturing standards. TRUFLOW completed construction of this blast and spray facility through the 2011 – 2012 year. These large blast and spray facilities are still in operation today. 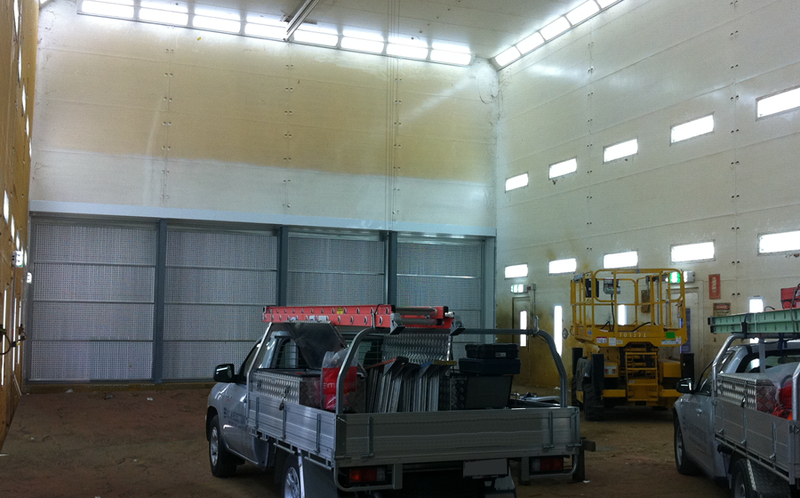 Paint Halls can be both fixed and temporary depending on the project duration and product to be sprayed. 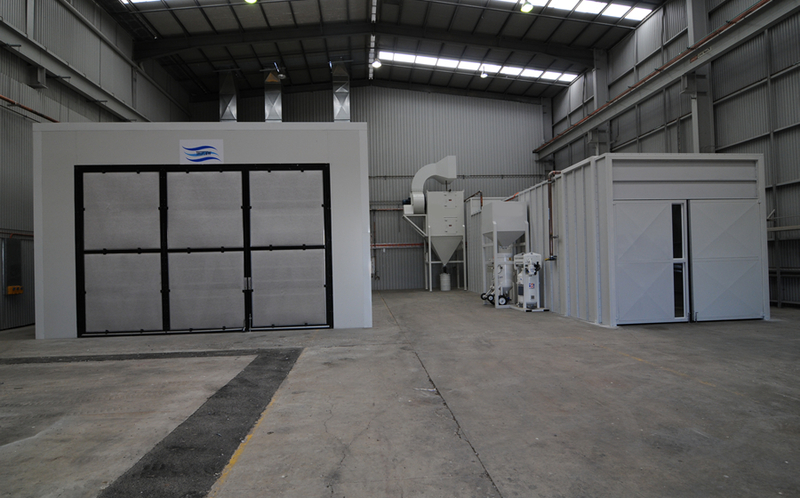 Commonly used in Shipyards where sheds are converted into spray booths they are also used in the mining industry to paint large equipment. 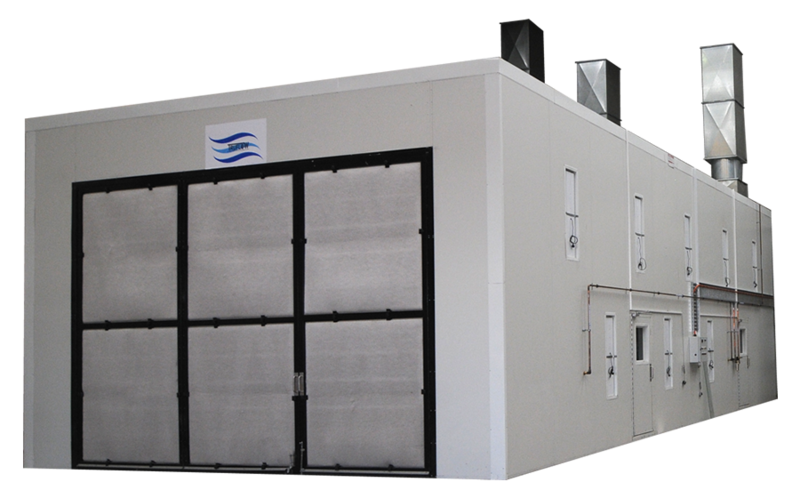 For a Marine / Ship yard spray facility there must be a nominated airflow rate in compliance with the spray area, while also adhering to Hazardous zoning requirements for electrical apparatus and sources of ignition. These systems are designed by a team of engineers who implement safety interlocks and systems to protect operators and capture over-spray. 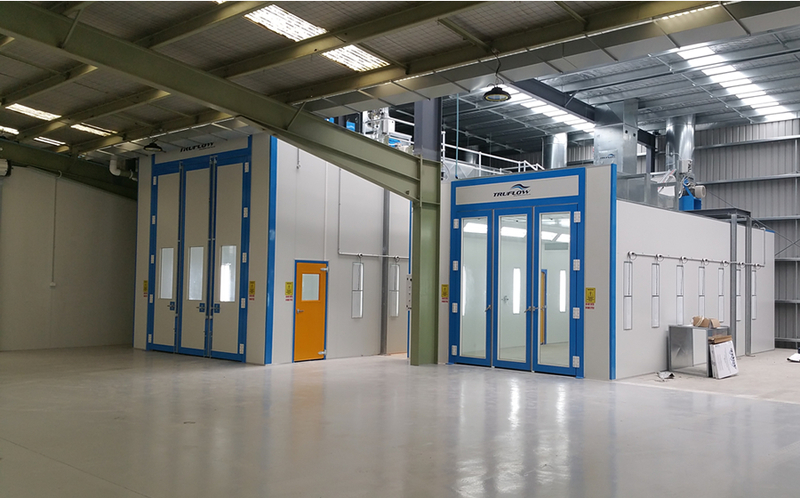 For Boat Manufacturers Spray Booths there can be a more conventional approach, with a range of standard products that can be adapted to suit the size and locality of the manufacturer. 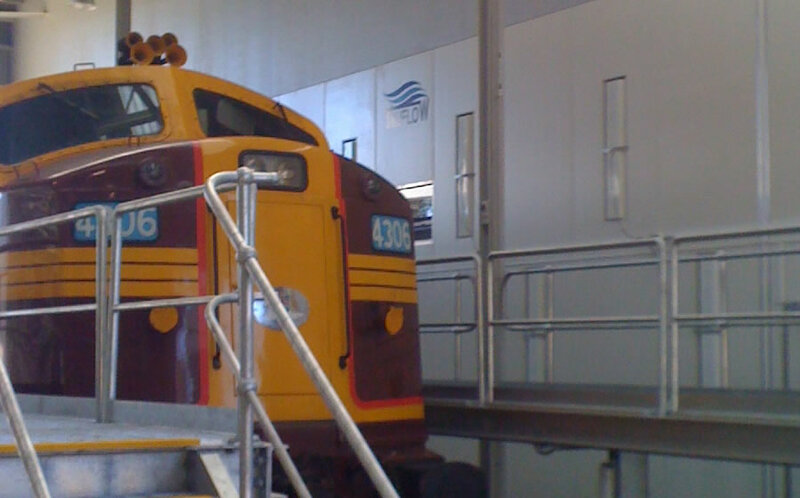 A great example of a state of the art surface finishing facility is Bar Crusher Boats in Victoria. 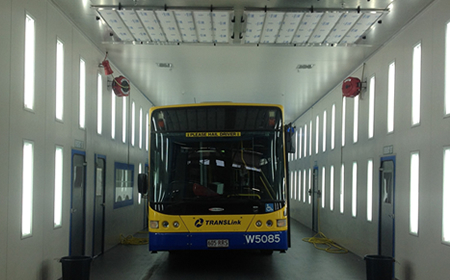 Renowned for their quality plate aluminium hulls they prep and paint in a number of booths which are heated and filtered to a very high standard. Allowing for the perfect conditions for their expert painters to apply the gloss showroom finish that clients expect. When fibreglass boats are manufactured they are produced in a unique mould that is typically laid with fibreglass or sprayed with a composite and resin. This process forms the Hull of the boat and it can be a process that generates odours and mess. 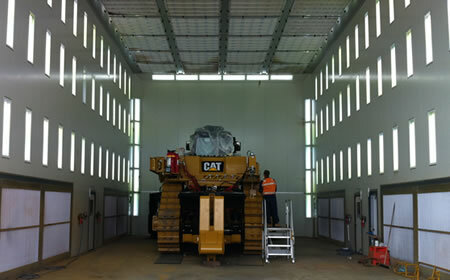 This process can be controlled by way of a dedicated Open Faced Spray Booth and extraction filter plenum. For many years TRUFLOW have designed and installed these systems for Boat companies Australia wide in both open and enclosed formats. Speak to one of our engineers today to discuss your needs.